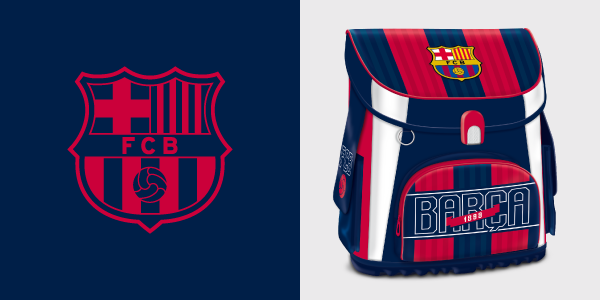 Lightweight schoolbag for boys with FC Barcelona's team crest The schoolbag has FIDLOCK magnetic lock, adjustable shoulder straps and back-friendly, comfortable back padding. Has water repellent top and a hard and stable bottom - 2 years warranty! The backpack has many functional pockets, in this way it is easy to organize also for small children all their books, exercise books and other school accessories. Click and read more!